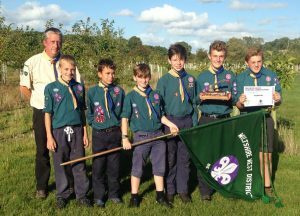 A group of Scouts from 1st Broughton Gifford & Holt Scout Group triumphed recently in the West Wilts District Maurice Gullis Camping Competition. The six boys – Curly, Harvey, Alex, Digger, William H and G – demonstrated outstanding teamwork, organisation and cooking, as well as succeeding in a range of challenges. Of particular note was the way the team pulled together and the quality of the meals they cooked on an open fire. The competition has been run since the 1920s in memory of a Scout who loved camping. This was the first time we’ve entered. A team of BGH Scouts has scooped first prize in the district’s Best of British Cooking Competition. 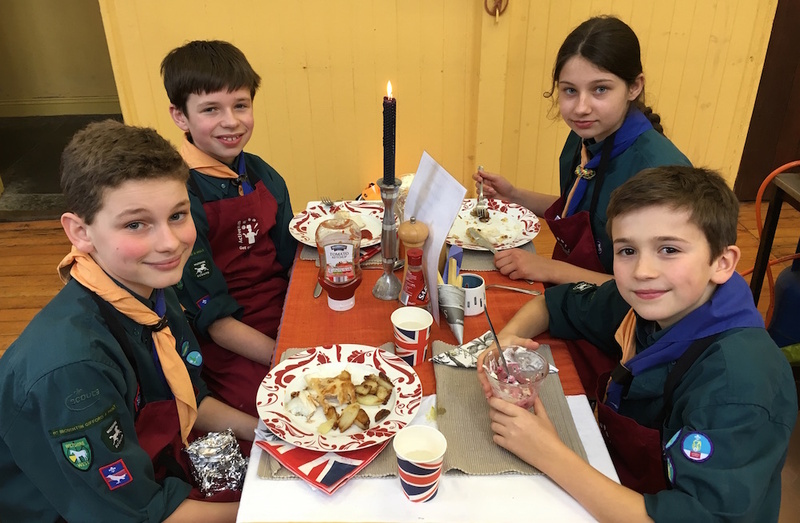 Dermot, Ellen, William H and William K (right) wowed the judges with their menu of coronation chicken, fish & chips and Eton Mess. Comments from the judges included that the coronation chicken was “to die for” (let’s hope not!) and they particularly liked William H’s origami table decorations. Two weeks before the competition, the Scouts held a trial run for the whole troop. Some delicious dishes – as well as some interesting experiments! – emerged. Photos of the night are here. 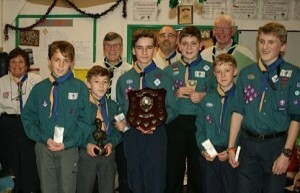 Our Scouts section have won this year’s District and County Shooting Competition. 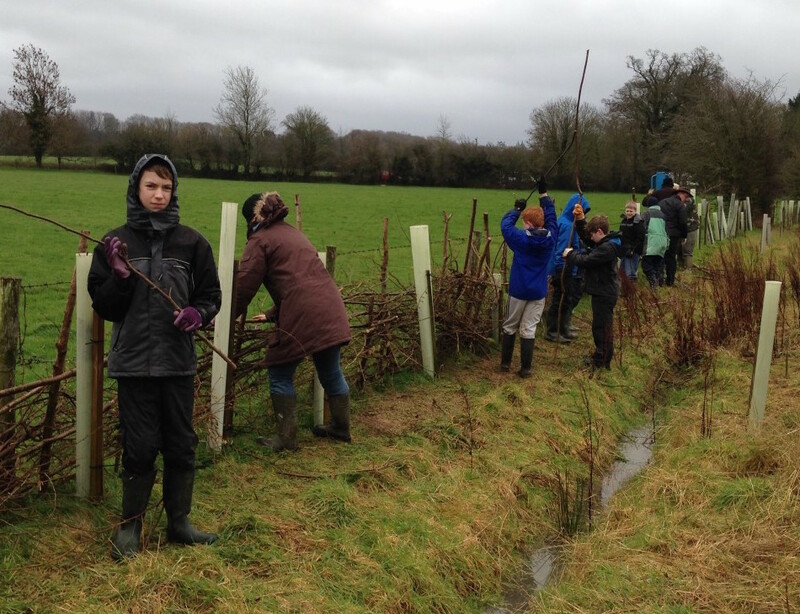 Our competitors were Alex Giles, Gabriel Hacker, William Cavill, Marcus Wales, Jacob Allsworth and Tom Crawley.